Regan, Becky, Gena and Katie are old school friends. Becky (Wilson) announces that she’s getting married – the first out of all of them. This prompts the other three to go into a tail-spin of envy and self-doubt. I started to get disheartened when I was about 10 to 15 minutes into the film. But it slowly picked up, and the second half was much better than the first. The thing is…it’s not a great film, but the actors are some of the best in rom coms. 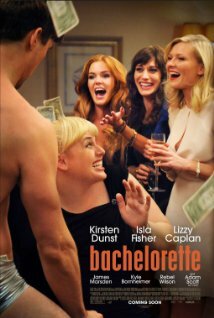 I adore Rebel Wilson, Lizzy Caplan and Isla Fisher (I can take or leave Kirsten Dunst) so enjoyed seeing them work together. Look, you can take or leave this flick, don’t expect Bridesmaids, but I think it’s worth a look and wouldn’t mind a second one myself. John and Jeremy are best friends who crash weddings to pick up chicks. They are nice guys really, but the womanising brings out the most despicable side to their characters. Their lying rulebook comes undone when they meet the two women they actually do want to be in a relationship with. They both reach a point when they want to reassess their lives, but it comes at different times for each of them, thus putting a huge strain on their friendship. This is classic rom com with the ‘bad boy’ character, but this time there are two of them. There is a love interest for each of them, the love interest has the ability to change the the bad boy and make him good. Classic motif of this time. 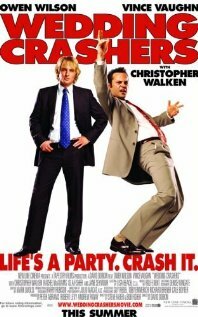 This is a funny movie, albeit a bit hard to stomach in places. 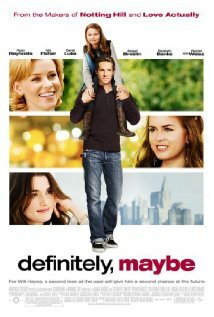 I love Isla Fisher, she and Vince Vaughn carry the film. When you see it come on TV, definitely give it a look. 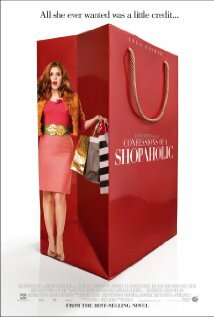 It’s funny that I like this movie because it’s about shopping to excess, and I hate any kind of shopping. I couldn’t imagine paying hundreds of dollars for a pair of shoes – maybe a good pair of boots that last for years and years, but that’s about it. But in the end, sense wins over shopping and I can enjoy re-watching this film when I want to see a bit of glamour. Isla Fisher plays Rebecca Bloomwood, a journalist, who lands herself a job at a magazine about finance. Being heavily in debt herself makes this an unlikely position for her, but she uses her personal style and becomes a hit. She covets a job at the sister magazine about fashion, but the journey towards her dream job has her fall in love, and discover things in life that are more important than buying clothes. The best friend is played by Krysten Ritter who I absolutely love. She pops up again in What Happens in Vegas and She’s out of My League– can’t wait until Ritter gets the lead role in her own romantic comedy. The romantic male leader played by Dancy is pretty inconsequential, as Fisher overshadows everyone else in the film. I really like this movie because contains a lot of the elements I desire in a rom com – the glamour, the best friend, and of course the romance.